Chrichton's World: Review Daddy's Home 2 (2017): Little less funny, uneven but ultimately a good Christmas film! Review Daddy's Home 2 (2017): Little less funny, uneven but ultimately a good Christmas film! The original Daddy's Home was far from perfect and perhaps not one of the funniest films ever made but it did have a certain charm and offered more laughs than I expected. But let's be clear it was bad. This sequel is less funnier and a bit uneven but somehow it's a better film than the original. How is this possible you might ask? I will tell you. It's the setting and the atmosphere. Having all the events play out in Christmas time is a stroke of genius. Every comedic or dramatic bit gets enhanced and impacts you more than it normally would in a conventional film. Another thing this sequel does better is to build up to the big feel good moment at the end. There is a quite a lot of cynicism and negativity throughout this film. Mel Gibson's character for example keeps starting feuds just to prove his point. Of course there is some truth to what he is saying although that doesn't automatically make him right. John Lithgow and Will Ferrell play the ideal father and son who seem to have a very good relationship. It's very endearing and a little disgusting at the same time. I mean adult father and adult son kissing each other on the mouth is perhaps a bit too much. In their case some of it might not be entirely real but it doesn't make their relationship bad. For a majority of the time the film spends time to the relationships between the parents and their kids where each of them have their own unique perspective on it. This easily could have provided a lot of fireworks and top notch comedy only the film never takes it to the next level. It's like it desperately wants to avoid slapstick, violence and harsh language. And unfortunately that makes most of these situations a little tame. While it didn't bother me I do want to point out that the parents are far too forgiving and lenient with their kids. Even when one is misbehaving they don't correct them. I know it's a film and all but in order to be convincing you at least have to berate kids when they are behaving badly. There is a scene where one of the kids has turned on the thermostat so high that Mel Gibson's character wakes up because of the heat. When they tell the kid that she is not allowed to do this and that she has to be considerate she ignores everyone's warning and no action is taken. I know that she deliberately is defying Mark Wahlberg's character. But what about the other adults? No way I would let that kind of behaviour slide. This issue BTW is solved in a way that was unexpected and funny. But also a very unrealistic one. Still I accepted it because of the good buzz it created. I am a sucker for feel good films. Especially Christmas ones. And this definitely is a good Christmas film. A very flawed one and it might take you a while to get into it but it will take you to that good place if you allow it. 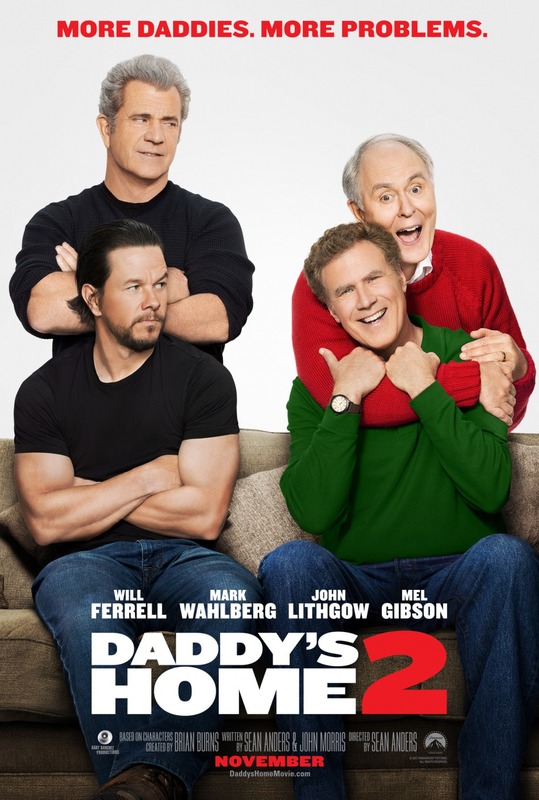 Mark Wahlberg for example plays a more likeable character than he did in the original and John Lithgow and Will Ferrell easily provided the most laughs. Overall decent enough!